Rogers Roofing, Inc. is a certified CertainTeed SELECT ShingleMaster™, which means we are among the very fe contractors to pass its strict standards of excellence, quality, and knowledge. This certification means we can offer and install the full range of CertainTeed products that come with one of the best warranties in the business. Among their roofing options is their Landmark Solaris® PLATINUM shingles, with a solar reflectance value of over 40%. 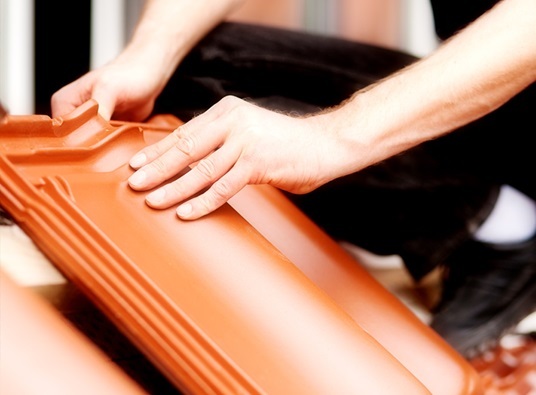 With this, your roof’s temperature can be reduced by as much as 20% this summer. A cool attic leads to an overall cooler home and less work for your utilities. Getting these shingles for your roofing in Crown Point, IN, is a great way to increase energy efficiency. Insufficient insulation leads to wasted energy and higher energy bills. For maximum insulation, we offer James Hardie® fiber-cement siding. This siding is durable and comes in a variety of textures and colors. When combined with insulation and the HardieWrap weather barrier, it provides enhanced moisture protection, increased thermal performance, and reduced air leaks. With a fully insulated home, you will be more comfortable while lessening your energy use. A lot of your home’s energy may be lost through non energy-efficient windows. This can be due to small leaks, breaks in the seal, or an inefficient window design. Upgrade your windows with our range of options from trusted window manufacturers. The replacement windows we offer from Marvin Windows feature different energy efficiency enhancements. You can choose to have your windows with dual-glaze or triple-glaze glass, with special insulating gases and low emissivity glass coatings. These glass coatings maximize your home’s energy efficiency by reflecting heat back. Your utility systems can then constantly maintain your preferred indoor temperature easier at a lower cost. Each of these home improvement projects is possible with Rogers Roofing, Inc. Our installation team will finish your project on schedule and without any stress on your part because we are experts in Hammond roofing, siding, and window replacement. Give us a call if you would like more information on our products and services. We also offer a free estimate. We have been helping customers improve their homes for nearly 50 years now. Allow us to use our wealth of experience to make your home more energy-efficient.